As the cost of energy continues to rise it makes sense to implement simple installation actions around your home. While each action will save some money, it is the cumulative effect which will significantly help reduce your energy expenditure. Remember, we’re not talking about major changes to your property just an array of simple installation actions which all of us can carry out. One simple technique which many people find useful is to fit a draft excluder to each exterior door. Whether you use a brush like draft excluder or perhaps one of the “toy snakes” you will be surprised at the impact this will have on energy loss. If you think about it, even a relatively small draft from an exterior door can have an impact on the temperature of your room over time. If the gap around your door is significant this can have a major impact on your energy bills simply because your central heating system needs to work harder to maintain a comfortable temperature. It is worth noting that a basic letterbox can also let in a significant draft which is why many people prefer to use brush trim letterboxes which are much better at keeping cold drafts out. Over time older windows will become less efficient at keeping the cold out and keeping the heat gain. It is therefore essential that on a regular basis you check to ensure that your windows are sealed correctly and there are no gaps or holes around the outside. If you run your hand around the outside of your window you will soon feel any drafts as your fingers will go cold! It is then simply a case of applying window sealer or putty which once dry will have a significant impact the efficiency of your window seal. It is amazing how many people ignore this simple piece of advice even if they do feel a draft when they are close to a window. Over the years there have been many discussions about double glazing windows but the simple fact is that the reduced cost of late means that the payback time is much shorter. They really do have a major impact upon the overall insulation of your property, heat retention and ultimately energy costs. You may have to bite the bullet in the short term by funding the cost of the double-glazing windows and installation fees but it is more than worthwhile. As we touched on above, windows are a common problem when it comes to cold drafts which will impact the temperature in any room. While sealant and putty are very useful when it comes to blocking wholes in window frames, sometimes the windows themselves can be cold, due to the external temperature, which can seep into the room. As a consequence, more and more people are now using curtains or blinds in the evening to trap the warm air in their rooms and prevent drafts. Some people go as far as to use thermal backing blinds and curtains which may seem relatively innocuous but just imagine the potential energy savings, and monetary savings, in the long term. Whether you have carpet, wood floors or tiled floors we guarantee there will be some gaps between either the floor and skirting board or maybe in the floor itself. Something as simple as using a silicon sealer to fill in these holes ensures the cold air under your floor is not able to escape into the room and bring down the temperature. Some experts advise using floor insulation below your floorboards to act as a further barrier against cold air about something as simple as placing a rug over an exposed area will help. If you do not believe the extent to which cold air can seep into your property, through gaps between the floor and the floorboards, why not try running your finger around the outer surface of your room and you will soon find out. 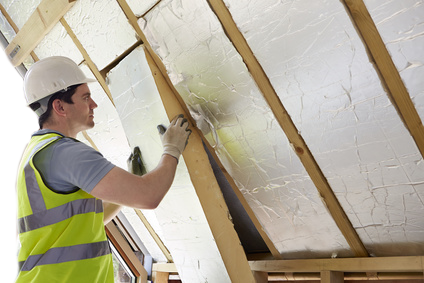 Perhaps the best-known way to reduce wasted heating in your property is to insulate your loft. Experts predict that loft insulation can save up to 1 ton of carbon dioxide emissions per annum per home and make a significant dent in your energy bills. Again, if your loft/attic is not insulated why not pop your head around the corner one day and you will immediately feel the drop in temperature. Everyone knows your loft should be insulated, there are even recyclable materials available but you would be surprised at the number of people who fail to make these simple adjustments. While each of the above insulation tips will save you money, the cumulative impact of applying these actions can make a major dent in your annual energy bill. We are potentially talking hundreds of pounds a year and when you bear in mind many people have been hit by an average £150 “green tax” surely any saving should be welcomed with open arms? This entry was posted in Greener Homes on 02/08/2017 by Jeremy.